Most people don’t think twice about where the electricity for their light bulbs comes from. Or if they know it primarily comes from coal, they are not aware of how that coal comes to see the light of day. In the valleys and mountaintops of idyllic Appalachia, the coal industry detonates the explosive power of a Hiroshima bomb every week, utilizing a crude process called mountaintop removal. There is nothing scientific or technical about mountaintop removal. It is crude, cruel and its effects non-reversible. First, trees and other natural ecology are removed from the tops of mountains. Then, dynamite splits the mountain open to unearth a layer of coal that is mined by brave men risking their lives in ungodly working conditions. When the layer is depleted, the next layer is blasted, until nothing is left but a hollow shell of a devastated mountain. In its wake, the process leaves behind toxic sludge piles containing arsenic, lead and mercury, contaminated rivers and streams, fine particulate airborne matter that creates an epidemiological health nightmare, and unlivable communities. Mountaintop removal has already destroyed 500 Appalachian mountains, decimated 1 million acres of forests, and buried 2,000 miles of streams. In the beautiful mountains of the Coal River Valley in West Virginia, mining corporations such as Massey Energy are blasting the mountains of Appalachia into extinction, polluting the air and water with blithe impunity, and amassing the kind of profits that allow them to wield massive lobbying power in Washington, DC to both repeal existing environmental regulations and obviate the ratification of new ones. One small community has had enough. Their only schoolhouse sits at the base of a silo where 28 million gallons of toxic sludge left over from the coal mining are held back by a flimsy levee. Their neighbors and friends—ranging from 5 to 63 years old to—are dying in masses from strange tumor clusters. Water filters that should last 3-4 months get plugged up after two weeks. The very last mountain in Coal River, protecting the community from massive flooding after rainfall, is being targeted for blasting. And that is when the people of Coal River decide to fight back. 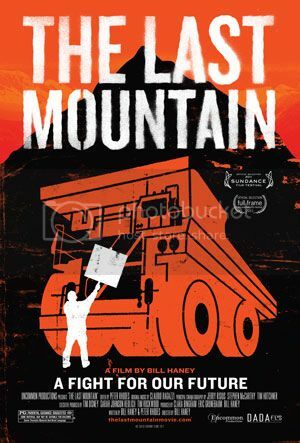 If you think this movie, or mountaintop removal itself, doesn’t affect you, you’re wrong. Almost half of the electricity produced in the US comes from the burning of coal (that’s 16 pounds of coal each day for each man, woman, and child!). 32% of that coal comes from…you guessed it…the mountains of Appalachia. It also happens to be the #1 sources of greenhouse gases worldwide. And it doesn’t stop there. The toll on health from the burning of coal nationwide—contributing to such problems as 10 million asthma attacks, brain damage in newborns and thousands of premature deaths—adds up to $345 billion annually. 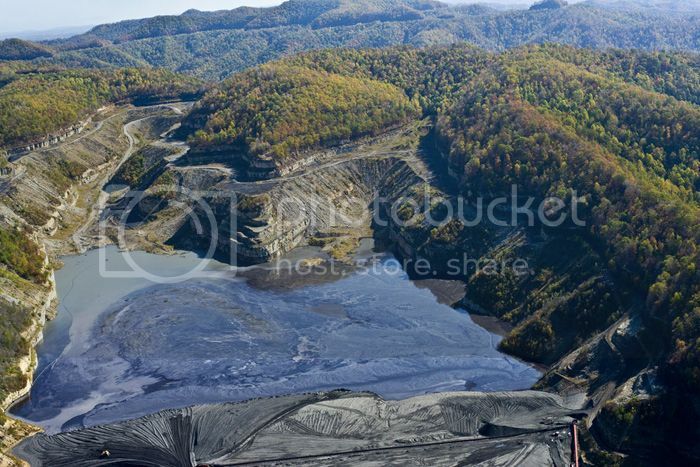 We are all paying the cost of mountaintop removal in one way or another. You’re connected to coal, whether you realize it or not. Toxic sludge sits at the base of a mountain that has been mined for coal in a scene from The Last Mountain. As The Last Mountain eventually conveys, this is a tale about so much more than blasting off a mountain—it’s about hubris and powerful people thinking they can do whatever they want, while destroying lives in the process. How’s this for a silent statistic? Massey Energy’s 28 impoundments have spilled 24 times in the last decade, contaminating rivers with 300 million gallons of sludge—that is twice the amount released in the BP oil spill in the Gulf that shocked the world. After a $28 million dollar settlement for their environmental violations, Massey Energy committed 180 more violations with no impunity. And the tragic thing is that the alternative technology is so much more effective and inexpensive. The filmmakers end with an uplifting visit to Portsmouth, WV, a municipality that supplies ¾ of its electricity needs for the community with two windmills with low-grade Category 2 winds. The winds in the Coal River Valley? The highest possible—Category 5. One can only imagine how many jobs and clean energy could be created from wind turbines in the Coal River Valley. A 1991 Department of Energy study concluded that only three US States, Kansas, North Dakota and Texas, have enough harnessable wind energy to supply the entire nations energy needs. Twenty years later, we have the technology to make it happen. The ultimate message of The Last Mountain is that is not enough to simply be outraged anymore. We are all users of the electricity and power that is generated from the sacrifices of the Appalachia residents and miners. The imagery of environmental devastation is so shocking, the deregulation and egregious indifference of the coal mining companies’ various violations so appalling, that we begin to feel somehow complicit in perpetrating this modern American tragedy. Fixing it starts with watching documentaries like The Last Mountain, but also in taking the kind of inspiring action as that of the small rural West Virginia community that the film portrays. Ordinary people, banded together in a common purpose, can indeed move mountains. And sometimes, they can even save them. The Last Mountain was released in limited screenings on June 15th, and goes into theaters nationwide later in June.